Adam Driver will help bring in the New Year and host Saturday Night Live on Jan 16. It will be the first time the three-time Emmy nominee hosts the show, and it makes sense considering he&apos;s one of today&apos;s most sought after actors. Driver is best known for playing the intensely strange character Adam on Girls, but most recently for his film work. 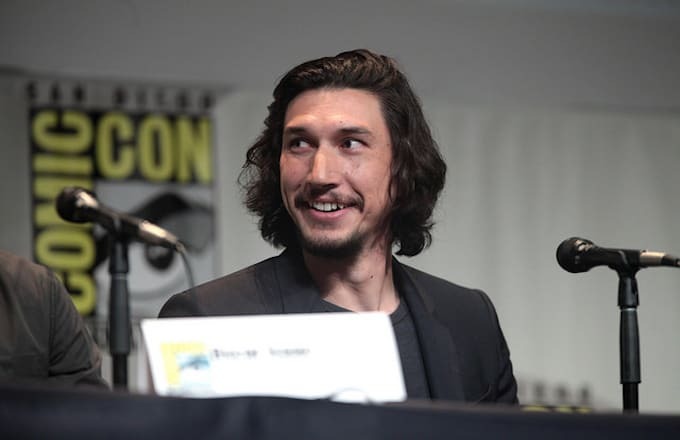 He won an acting award at last year&apos;s Venice Film Festival for Hungry Hearts, had a memorable part in the Coen Brothers&apos;s Inside Llewyn Davis, and now stars as villain Kylo Ren in Star Wars: The Force Awakens. If that&apos;s not enough, he also has a big role in Martin Scorsese&apos;s upcoming Silence, which will be released sometime in 2016. Although it&apos;s unclear what he&apos;ll do on SNL we can only pray there&apos;s another Tina Fey-starring Girls parody.